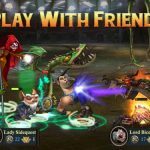 DragonSoul is an immersive mobile role-playing game from PerBlue, that we’ve been playing for a while now. According to the story of the game, there is an evil dragon Umlaut who has captured the in-game world’s heroes and trapped them in Soulstones. As such, there aren’t too many heroes remaining. What’s to do? Where do you go from here? You will be presiding over a ragtag group of heroes, transforming them into an “unstoppable army” as you fight enemies, free heroes, and defeat evil. 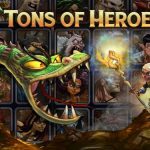 Features include four “deadly” powers for each hero, plus over eight rarity levels and “totally awesome gear,” a campaign mode, PvP mode, coliseum mode, and much more. You can also join or form a guild, yet another key staple of games of this genre. Now you may be wondering: how can you beat the DragonSoul Temple? And how can you do so on a consistent basis? This is a new feature in the December update that would require you to be a member of a guild as you try to defeat a group of five Titans. 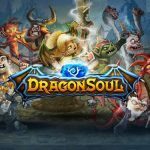 Check out our compilation of DragonSoul tips, tricks and cheat and we’ll be glad to show you how. Before we get to the meat of the matter, let’s give first-time players a brief overview of the DragonSoul Temple. It randomly shows up when you’re completing regular or elite Campaign missions. And once you find a Temple, that’s where your guild members come in; they’ll be there to help you defeat the Titans inside of the Temple. Your first five invitations are free, and each succeeding invite will cost you 2,000 coins each. You will also be able to assist other crypt members in dealing with their Temples, and if you’re able to help them out successfully by defeating one of their Titans, you’ll get 50 Guild coins and ordinary coins as a reward. And with each Titan you beat, you’ll be gifting a bonus to the enemy in succeeding fights; that’s the one caveat you have to watch out for. Now that we’ve given you a backgrounder of the Temple and the Titans within, the first thing you should do is to choose the right Titans to work against. While the Badbardian Titan may be the easiest to defeat, you’ll be giving a 40 percent speed boost to the succeeding Titans’ attack and movement. That means beating the Bardbarian before the others will give succeeding Titans a substantial improvement to certain stats. What you want to do instead is to kill the Titan who has the least substantial bonus. Medusa, Snap Dragon, and Dragon Lady/Centaur are all good choices. Just as long as beating the Titan won’t make the next one extremely difficult to defeat, you should be good. You also want to go for Titans who have the most powerful troops before everyone else. Again, that’s where the aforementioned mechanic becomes important – things will become progressively harder due to your “gifting” bonuses to succeeding Titans, and the same also applies to their armies. Always start off with big threats and work your way down progressively. One way to apply this would be defeating demons who are invulnerable to physical or magic damage or enemy “tanks” that have a lot of health points, like ogres. As part of a guild, you are working as a team. And for this team to run like a well-oiled machine, you should also invite people smartly and always maintain communication with fellow guild members. For example, you might want to extend invites to lower-end allies when dealing with Titans who are easy to beat. Again, save the best for last – save higher-level guild members for the more difficult matchups. Don’t make the mistake of dispatching high-level allies on low-level Titans, because you’ll be making it a Herculean task for the low-level allies to finish off the remaining Titans. Last, but not the least, always remember that no one temple is the same. There are some that are quite hard to defeat, and others that are relatively easy. And as a final bonus tip, you might want to join a guild where the members have a higher level – that’s not a bad thing to do. But at the end of the day, we’ve seen the best results from guilds where only ten levels or less separate the highest- and lowest-ranked members.